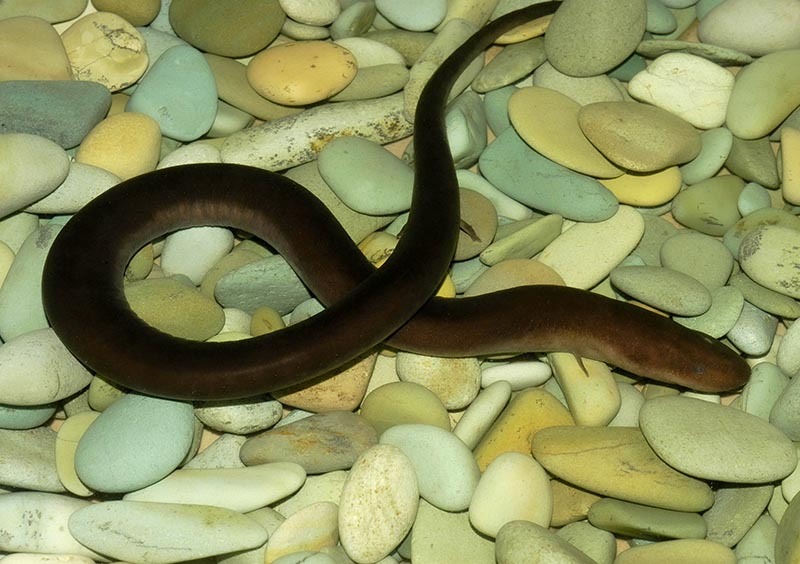 The two-toed amphiuma (Amphiuma means) is so named for the two vestigial legs located behind its head. In this image, one of the legs is clearly visible resting on a pebble. Amphiumas are entirely aquatic salamanders. Photograph by Suzanne L. Collins, Center for North American Herpetology.